Oskid, who produced hit tracks on Killer T's 'Ngoma Ndaimba' and Winky D's 'Gafa Life: Kickstape'-the hottest albums of 2015-could soon be working with Nigerian music star Wizkid. The Gweru-born producer, who has suddenly become synonymous with the very best of Zimbabwean music, told the Daily News on Sunday that people representing Wizkid contacted him recently. “They got in touch with me and am hopeful that an opportunity to work with Wizkid will materialise,” said Oskid. The young music producer, who was born Prince Tapfuma 23 years ago, believes Wizkid’s interest in him resulted from the fact that Winky D’s hit ‘Disappear’-produced by Oskid at KeNako Muzik- recently made it onto the British Broadcasting Corporation (BBC) Radio 1Extra Destination Africa Top 5. “Though ‘Disappear’ is on number five on the BBC chart while Wizkid’s song hit ‘Final (Baba Nla)’ is number one, I am sure the Nigerian star and his people were very impressed by the quality of Winky D’s song,” he said. Given Oskid’s current lofty standing in Zimbabwean music, it is hard to believe that a year ago not many had heard about him. It took a 10-month stint at KeNako Muzik, where he recorded -in his own words- "everybody who matters in Zimdancehall" for Zimbabwe to finally appreciate the talent of the 23 year old music genius who ventured into producing music as a scrawny 16-year old. It was his magic touch on the red-hot 'Ngoma Ndaimba' and 'Gafa Life: Kickstape' that catapulted Oskid into the hearts of Zimbabwean music fans. He told the Daily News on Sunday that though he loved music a lot as a youngster, he hardly imagined he would eventually become a producer. “My love for music developed in a big way when I was 16 years old and still at Serima High School. "My interest for music was very well known at the school and that is how I earned the nickname Oskid (obviously after Oskido) because classmates said I loved house music a lot. In fact, I wrote some of my earliest music during this period," said Oskid. But he said his attempt to find a suitable producer and studio became a source of endless frustration. "All producers I approached could not create the sound I wanted. After a long and fruitless I decided to create the sound myself. “I had no idea how to go about it then but after trial and error I eventually developed the necessary skills. I am a self-taught music producer," said Oskid. In no time, the exploits of the 16 year old producer reached Botswana. “A Tswana guy in Francistown, who was starting a recording studio, heard about me and gave me an offer to work for him. “I didn’t have a passport then so he gave me money to apply for one and for me to make it to Francistown. I worked for the studio in Botswana for only one year and five months,” said the Disappear producer. 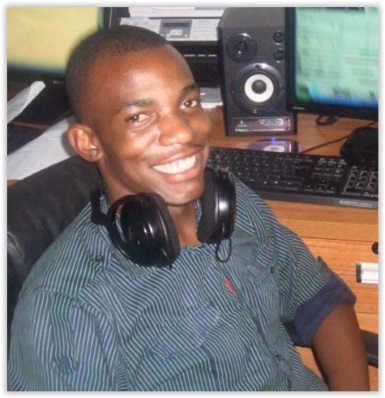 Oskid returned to Gweru where he set up his own music studio. “I started a studio called Real Sounds in 2014 where I did the ‘Riot Riddim’ that featured South Africa-based Nox and several upcoming artistes. I also recorded songstress Shingi Mangoma who is from Gweru. I also recorded Legion, Stunner and Shinsoman among others,” he told the Daily News on Sunday. At the end of 2014, KeNako Muzik got wind of his prodigious music skills and came calling. He joined the Borrowdale-based upmarket studio in January last year. “At Kenako I produced music for everybody who matters in Zimdancehall. I created beautiful music for wonderful artistes. I don’t want to single out any track as my best because everything I create is top-quality. “Disappear has done wonders yes but I also think the other tracks I produced for Winky D, Killer T and other artistes are equally good,” said Oskid. Ever the rolling stone, Oskid quit KeNako Muzik in October after some misunderstanding with the studio owners. “I was supposed to work for them from January to December but I quit prematurely in October over money issues. I repeatedly engaged them but they didn’t want to pay so I said why bother them and left,” he said. The 23 year old music producer has decided to establish his own studio in Harare. “After the Kenako experience, I think the best option I have is to do my own thing. Many artistes are keen to work with me. I am currently producing some tracks for Freeman, gospel artiste Sebastian Magacha, Tocky Vibes, gospel artiste Flem B, Fungisai Zvakavapano, Cynthia Mare and Diana Samkange,” said Oskid. Despite winning the hearts of both artistes and music fans alike, the young producer feels he still has a long way to go. “I always knew that I would get this far and be this successful. There was a time when I felt ashamed of the sound that was coming out of Zimbabwe but I think I have played my part along with other producers to take our music to a higher level. “I am not the best I can be yet but I will get there with hard work. I will work hard to get there,” said the ex- KeNako Muzik producer.